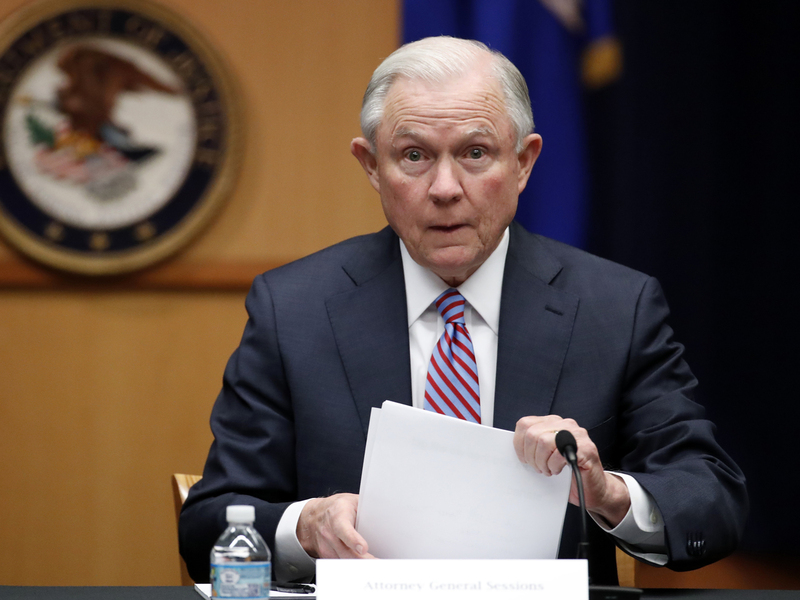 Jeff Sessions Gets An Earful From Hawaii Over 'Island In The Pacific' Remark : The Two-Way On Tuesday, the U.S. attorney general marveled that "a judge sitting on an island in the Pacific" could block President Trump's travel ban. Hawaiians say he messed with the wrong archipelago. Hawaii's Democratic lawmakers are criticizing Attorney General Jeff Sessions after he expressed amazement on a radio show that a "judge sitting on an island in the Pacific" could stop the president's travel ban. Above, Sessions at the Department of Justice in Washington on Tuesday. A remark U.S. Attorney General Jeff Sessions made earlier this week about a judge in Hawaii isn't sitting well with the Aloha State. In an interview on the The Mark Levin Show, Sessions was asked about the status of President Trump's executive order on travel. "I really am amazed that a judge sitting on an island in the Pacific can issue an order that stops the president of the United States from what appears to be clearly his statutory and constitutional power," Sessions replied. The Justice Department tried to clarify Sessions' remarks on Thursday, according to CNN. "Hawaii is, in fact, an island in the Pacific — a beautiful one where the Attorney General's granddaughter was born," a spokesman told the network. "The point, however, is that there is a problem when a flawed opinion by a single judge can block the President's lawful exercise of authority to keep the entire country safe." 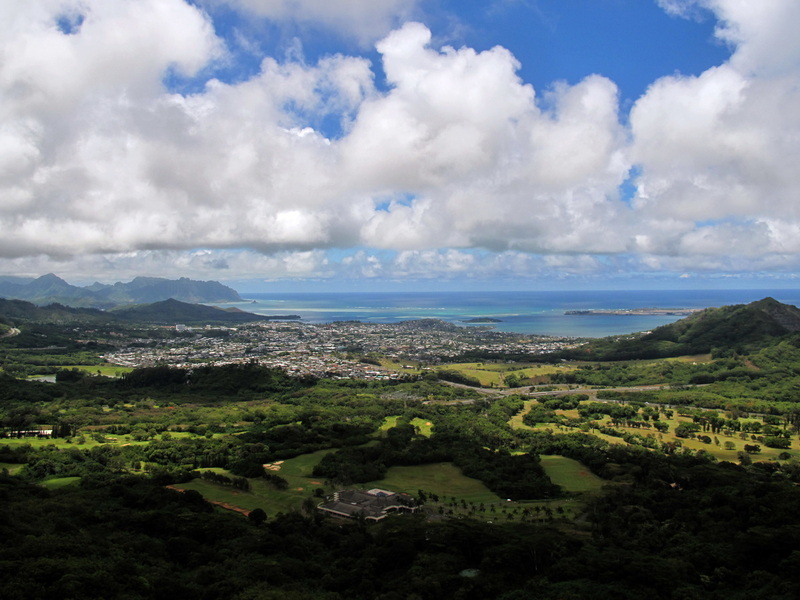 An island in the Pacific: Kaneohe, Oahu, in 2010. But the hackles had already been raised. The state's U.S senators, both Democrats, fired back. Mazie Hirono called Sessions' comments "ignorant & dangerous." And Brian Schatz told the attorney general to "have some respect." He also quoted a tweet from political scientist Ian Bremmer that said, "First Trump doesn't care N Korea can already hit Hawaii; now Sessions says it's just some 'island in the Pacific.' #Mahalo." The federal judge in question is Derrick K. Watson, who last month blocked Trump's revised travel ban just before it was to go into effect, saying that it is likely to be found unconstitutional. Watson's chambers are in Honolulu, on the island of Oahu. Hawaii became a state in 1959. Watson was nominated to serve as a U.S. district judge for the District of Hawaii by President Obama in November 2012; he was confirmed by the U.S. Senate in April 2013 by a vote of 94-0. Sessions, then a senator, was among those who voted to confirm Watson. "President Trump previously called a federal judge in California a so-called judge. Now U.S. Attorney General Sessions appears to dismiss a federal judge in Hawaii as just a judge sitting on an island in the Pacific. Our Constitution created a separation of powers in the United States for a reason. Our federal courts, established under article III of the Constitution, are co-equal partners with Congress and the President. It is disappointing AG Sessions does not acknowledge that." By Thursday afternoon, Sessions' remarks had inspired passionate testimony on Twitter from others, using the hashtag — what else? — #islandinthepacific. This #islandinthepacific 1st to legalize #abortion, first to ratify #ERA, authored #TitleIX...#civilrights in our DNA & not stopping! Sessions addressed the backlash Friday morning on CNN. "I wasn't criticizing the judge or the island. I think it's a fabulous place," he said. "But I gotta tell you, it is a point worth making — that a single sitting district judge out of 600, 700 district judges can issue an order stopping a presidential executive order that I believe is fully constitutional, designed to protect the United States of America from terrorist attack." A previous photo caption, using information provided by Getty Images, misidentified the location as Honolulu. It is Kaneohe, Oahu.